..resides in the pretty village of Normanton on Soar. 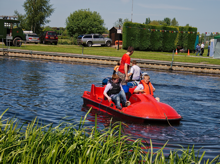 Situated alongside the beautiful River Soar between Kegworth and Loughborough, we offer a facility that accommodates 15 permanent moorings. We also have a large river frontage for members and visitors to use. 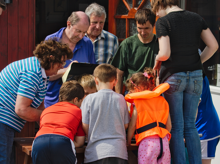 The Club offers a social centre for boating enthusiasts to meet and talk boats. The bar facilities are open most Saturdays throughout the year and some Fridays in summer months. We have a busy social calendar which includes cruises, and coach excursions, as well as themed evenings and barbeques at the club throughout the year. We are able to cater for up to 100 people in our lovely clubhouse which has been modernised and updated throughout the years. We offer a well stocked bar and catering facilities as well as a place to relax and enjoy the ambience and views out over the Soar Valley. 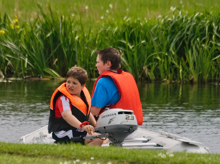 Soar Boating Club offers the ideal place to visit have fun and meet others.